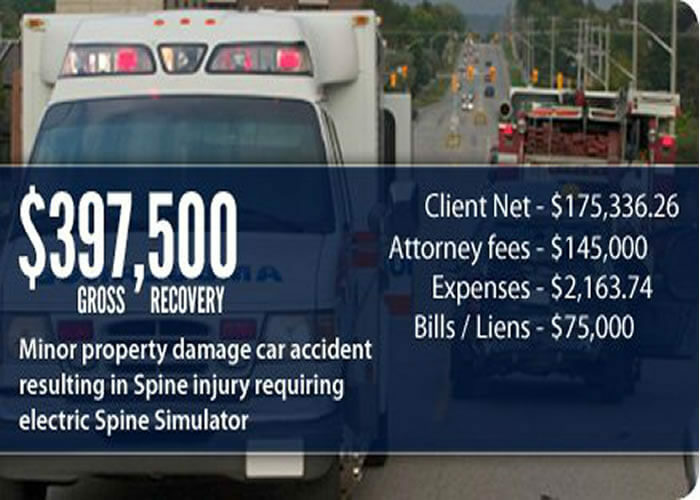 Let Mullen & Mullen’s car accident lawyers protect you from the big, bad insurance companies. Pay only when you win. Free consultations. Call 314-465-8733. So now, you have to hold the other driver accountable for their actions. And you want to find the best auto accident lawyer in St. Louis because you know you pay no fees up front (You only pay a fee when you receive compensation for your injuries). Whatever You Do, Don’t Make the Mistake of Talking to the Other Driver’s Insurance Company! The other driver’s insurance adjuster will likely call you within days of the accident, perhaps even the next day. They’ll sound like one of the nicest, friendliest people you could ever meet. Don’t fall for it! It’s a trap insurance companies use to minimize or deny your claim. Remember, insurance companies are profit-making institutions that have to please shareholders. The more money they pay you, the less they profit. For this reason, they have precise plans of how they’re going to handle your claim – before it even happens. That way, they know they can pay you as little as possible, and they hope, nothing at all. The adjuster is nice and friendly so you’re forthcoming with information they can use against you later on to minimize, delay, or deny your claim. They’ll often offer you a small amount of cash out of the gate and offer to overnight it to you. They want you to settle your claim before you even know the full extent of your injuries! And in most cases, this saves them big money and costs you thousands of dollars. That’s why they’re so willing to “help” you! You have no legal obligation to speak to an insurance adjuster at all. So if they call, don’t pick up, and talk to an auto accident lawyer instead. 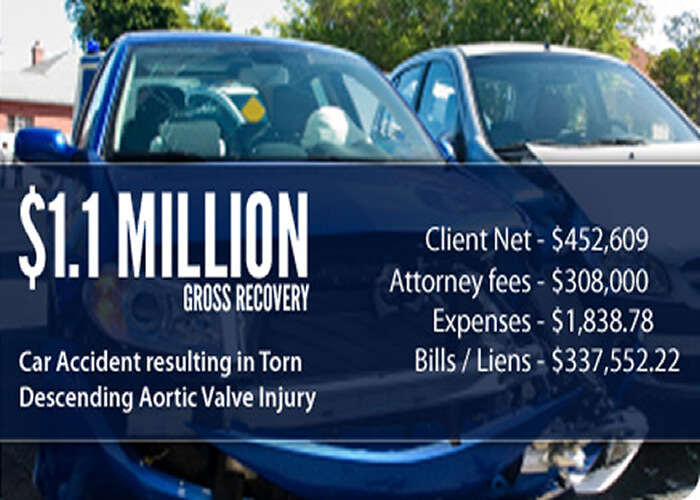 Why Choose Mullen & Mullen’s Auto Accident Attorneys Based in St. Louis? We care about your mental and physical recovery from your car accident and want to help you obtain the medical treatment you need and deserve. We want to make sure your claim is not resolved until you know the full extent of your injuries and the damages associated with those injuries. We will help you maximize your recovery. Attorney Regis Mullen* has more than 3 decades of legal experience, including working for a major insurance company. He has taught attorneys at the firm how to dismantle their tactics and defenses so you get max compensation. Attorney Shane Mullen*, Regis’s son, has been named a “Super Lawyer Rising Star” from 2014-2016. It’s one of the most prestigious honors a personal injury lawyer can obtain. Just the top 2.5% of all lawyers under 40 or with less than 10 years of experience can be “Super Lawyers.” And the publication uses a thorough 12-point process to eliminate any cheating of the system and to make sure only the best lawyers get the honor. Google “Super Lawyers Shane Mullen” to see the designation. Attorney Joseph Morrison* is unafraid to take on big companies of any kind. He won the 5th largest premises liability verdict in the State of Texas for 2012 in a case styled Jeffrey Young v. ConAgra Foods, Inc. The clock on your case is ticking. Every moment you wait is one the insurance company uses to strategize their defense and minimize – or entirely deny – your claim. Call 314-465-8733 (314-INJURED), or contact us online today. There’s absolutely no pressure to hire us as your personal injury lawyers. It’s a friendly conversation to discuss the facts of your claim and the best course of action for you to take. If we do work together, our fee is contingent. 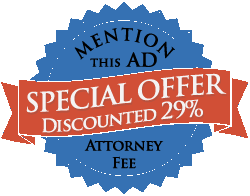 We only receive a fee if we win your case by obtaining you a settlement or trial verdict. Your first concern should always be your own safety and the safety of the other drivers. Make sure everyone is okay. If not, help everyone get into a safe place if you’re able. Call 911 when the situation’s stable. Do not say “I’m sorry” to anyone, even if you are not at fault and just want everyone to feel better. In court, it can be seen as an admission of fault, which could reduce the value of your claim or cause it to be denied. No – avoid doing this until the police arrive, if you can. How the cars contact each other in an accident makes a huge difference on the final outcome and value of your claim. If you have to move your car, take extensive photos of the accident scene with your smartphone. This is critical to the final outcome of your case. If you’re in good enough physical condition, you should be thorough as you collect evidence. Photograph the scene of the accident and skid marks. You can’t take enough photos here. Consider shooting a video and explaining how the accident happened. If your phone has voice recording, ask witnesses to make a statement at the scene of the accident. Consider taking notes on any statements other drivers or witnesses make. What should you say about your injuries? Even if you’re only sore, tell police, firefighters, witnesses, and emergency personnel that’s the case. Sometimes, your full injuries appear days, weeks, or months after the accident. And saying you’re sore now makes your case more credible if that happens. What if the police don’t show up or refuse to investigate? Collect all the evidence, like we told you above in #3. Exchange insurance information with the other driver. What if I can’t afford my insurance deductible or don’t have health insurance? Don’t worry – we have relationships with medical professionals and institutions happy to delay billing you for medical services received until your case settles. Get your free consultation and we’ll walk you through your car accident claim when you call 314-465-8733 (314-INJURED), or contact us online today. Remember, you pay us a fee only if and when your case wins.